Telemedicine is evolving rapidly, and it is projected to have a monumental impact on the lives of many Americans, including those who are actively in the workforce, as well as seniors and those who are disabled. Nevertheless, technology comes with its own set of challenges that will need to be addressed as well. To learn more, visit: www.stevenrgerst.com. Fort Lauderdale, FL, August 25, 2015	(Newswire.com) - While telemedicine has been available to employers for over a decade, it is growing in acceptance and popularity now, with a 15% rise in the number of employers offering telemedicine as a benefit to their employees from 2014 to 2015. It is expected to grow another 34 percent between 2016 and 2017. This is in part due to the improved cost effectiveness for employers that didn’t exist before, as well as superior technology, which is providing an enhanced delivery of services that are easier to utilize. In addition to the telemedicine benefit being more affordable to businesses, employers are also realizing how it is helping them reduce healthcare costs, improve health care access, and increase productivity and employee satisfaction. Previously, there was concern with earlier models of telemedicine delivering subpar customer service, limited tablet or smart phone accessibility, and there was also apprehension over security and privacy issues. However, the next generation of telemedicine is providing a much different, streamlined experience for users, while existing issues are being identified and their solutions being sought. Steven R. Gerst: Sweeping advancements are arriving just in time to alleviate the strain that will soon be put on public and private health resources. There is great promise for healthcare in the form of telemedicine visits, connected health devices, wearable sensors, and remote monitoring of patients. · First-rate patient experience. The next generation telemedicine is more perceptive, more responsive, and easier to use than older models. It also interacts with commonly used websites and mobile apps like Facebook, Instagram and YouTube. On demand care is available for scheduling visits with providers, and a seamless patient experience is continuously being fine-tuned, which will lead to higher utilization. Quality customer service teams are available 24/7 to assist patients on any matters, including refunds if patients are not happy with the service they were provided with during their telemedicine visits. · Advanced Technology. The next generation of telemedicine is being developed by well-regarded engineers and designers. These experts hail from Silicon Valley, having worked fort companies like Google, Facebook, Apple and Twitter. This has led to advancements in the delivery of services, such as telemedicine visits taking place in HD resolution, resulting in the highest quality provider-patient communication and experience. Telemedicine visits are also now possible through the use of almost any smart phone, tablet device, or computer. Patient privacy and security are supported by enterprise grade encryption. · Incorporating health insurance. Telemedicine providers can work with any health insurance provider to confirm eligibility, deductible and copayment information, and coordinate the claims administration process, instantaneously. · Highest clinical standard requirements and compliance. All providers are U.S. trained, U.S. licensed, and all physicians are board certified, and have no medical malpractice claims. Every provider has a clean background check, has been screened, interviewed, assessed, and hired individually. They are also trained specifically for the telemedicine platform. Quality control is through regular monitoring and auditing of cases by clinical staff members. · Candid reviews by patients. Thousands of unfiltered reviews by patients are collected and made available for viewing that will provide an account of patient experiences, and an idea of what to expect with the services. Steven R. Gerst: A focus on security and privacy is essential for a smooth adoption of these innovative technologies. As the population ages and the number of providers gets smaller, smart home devices will enable seniors and disabled patients to live independently and comfortably. Their quality of life can be maintained through connected devices and remote monitoring, which can remind them to take their medication, ensure that they refill their prescriptions, while helping to prevent accidents with dosing. The medical innovation taking place through the Internet of Things is crucially necessary to avoid an economic catastrophe that would otherwise be foreseeable from this boom of aging adults. A mandatory step in this process is the implementation of strong security and privacy measures, without which the adoption of this technology cannot take place. Patients need to be in control of their own data, and it has been reported that 35 percent of consumers have expressed concern over how confidential their personal health information will be if stored online. To learn more about the new wave of telemedicine, visit: www.stevenrgerst.com. Steven R. Gerst is the Senior Vice President and Chief Medical Officer, MZI Healthcare, Vice President of Medical Affairs, MedCurrent Corporation, and Health Informatics Board Member & Professor, Bryan University. Steven R. Gerst is a graduate of the Columbia University College of Physicians and Surgeons (M.D. ), Columbia College (B.A. ), Columbia School of Public Health – Health Administration (M.P.H.) and the Goizuetta School of Business at Emory University (M.B.A.). He is a Diplomat in the American College of Healthcare Executives. He is also Dean Emeritus of the Masters of Science Program in Applied Health Informatics at Bryan University (Los Angeles, Sacramento, Toronto and Phoenix) where he serves on the Board of Advisors and has taught on the faculty. 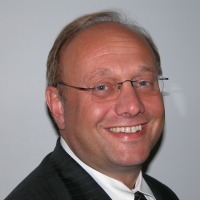 Dr. Gerst is currently at the University of Miami, Miller School of Medicine in the Office of the Chief Innovation Officer and Vice Provost as an “Entrepreneur–in-Residence,” and has served as an Adjunct Professor of Biomedical Informatics at Nova Southeastern University College of Osteopathic Medicine.